“Do not cling to me,” are words that might seem quite harsh to those, like St Mary Magdalene, who loved Jesus much and also were filled with intense grief yet at his risen appearance were asked to hold back. Now Jesus had not, all of a sudden, become like a classic Englishman, who prefers not to be so demonstrative with regard to affections! So what is happening here? Well of course the Resurrection had occurred! And this is not just a resuscitation of Jesus’ body (like Lazarus being raised from the dead) but a wholly new way of being human. So of course the way in which people relate to the risen Christ is now different. Yes it is a human way of relating but it is necessarily a spiritual way. 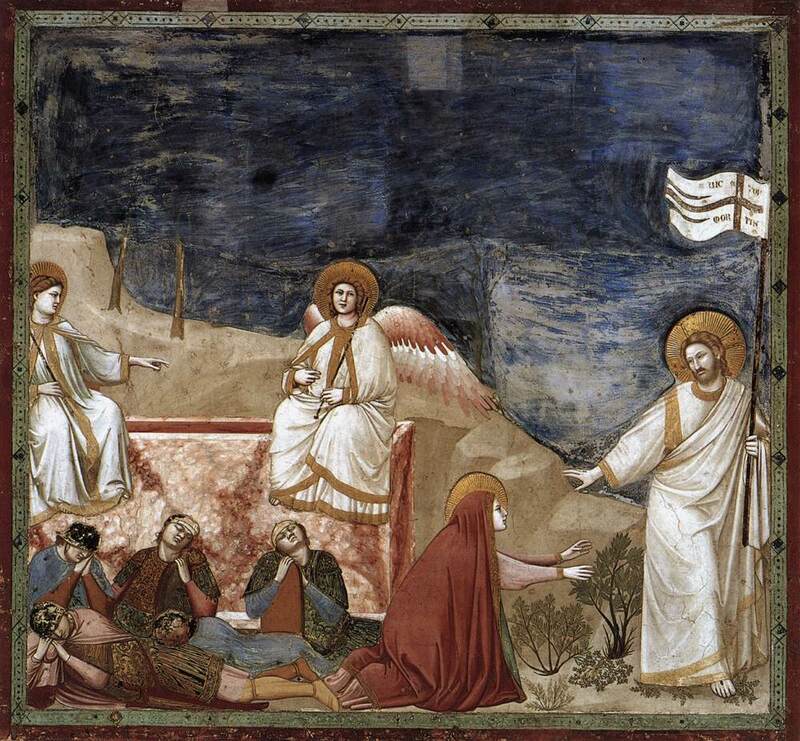 Eventually of course, after the Ascension, the risen Lord is not to be seen until the end of time, but only seen through the sacramental signs of the Sacred Body and Precious Blood of the Eucharist. The disciples had to relinquish the physical presence of Jesus with which they were so comfortable. From then on the disciples of Jesus must embrace Him in a secret and marvellous way through prayer and faith. St Mary Magdalene here may well represent the contemplative spirit of the Church and thus shows us how we are to embrace the whole of Christ.